The Heathkit HL-2200 is one of Heathkits last made amps. It probably dates from the mid to late 1980's. It is similar to the Heathkit SB-221, but ads a newer case design. The amp uses Eimac 3-500Z tubes. A max of 100 W input drive power is required. On CW and RTTY the maximum continuous transmit time is 10 minutes. Estimating the value of a rig can be challenging. 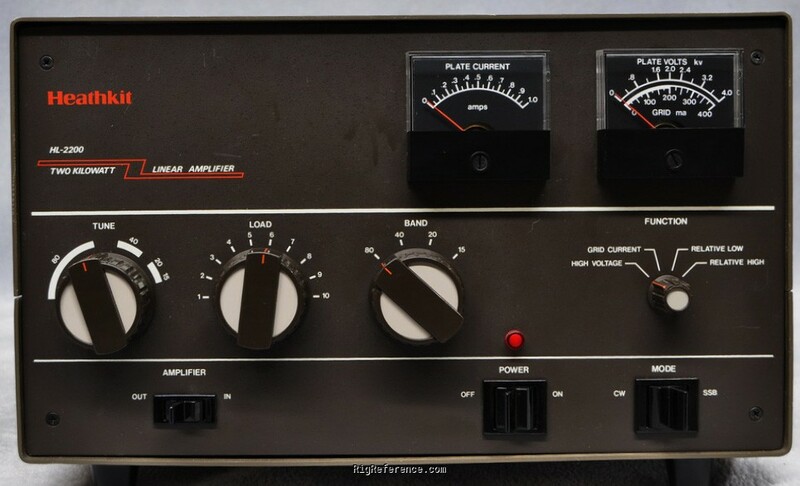 We collect prices paid by real hams over the years to help you estimate the current value of the Heathkit HL-2200. Just bought or sold this model? Let us know what you traded it for and help other ham operators!